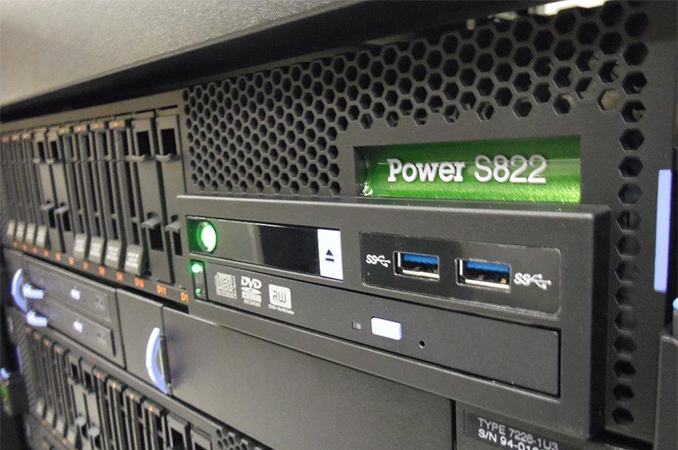 The P8 Test System consists of of 4 IBM Power 822LC Servers each with 2x8core 3.25GHz Power8 CPUs and 512GB Ram. 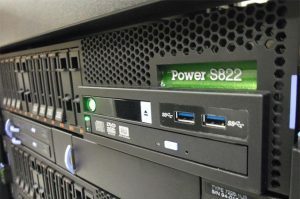 Similar to Power 7, the Power 8 utilizes Simultaneous MultiThreading (SMT), but extends the design to 8 threads per core allowing the 16 physical cores to support up to 128 threads. 2 nodes have two NVIDIA Tesla K80 GPUs with CUDA Capability 3.7 (Kepler), consisting of 2xGK210 GPUs each with 12 GB of RAM connected using PCI-E, and 2 others have 4x NVIDIA Tesla P100 GPUs each wit h 16GB of RAM with CUDA Capability 6.0 (Pascal) connected using NVlink. A quickstart guide to running on SciNet’s P8 cluster is available on our technical documentation wiki.